Any jaw pain with chest pain: Although jaw pain may be caused by dental disease, it is sometimes referred pain from other areas. If you have heart disease, especially if you have had stents placed, or have had heart surgery, or have diabetes, your jaw pain may be a symptom of a heart attack or angina. Call 911 immediately. Even in the absence of chest pain, if your jaw or tooth pain is accompanied with lightheadedness, sweating, or shortness of breath, you should call 911 immediately or go to your nearest emergency room. If you experience high fever or chills, or have a rash, this may indicate a more widespread infection that might require more than antibiotics by mouth. Call your doctor. If you have had a recent head or face injury and you have a headache, lightheadedness, nausea, vomiting, or other symptoms that concern you, you may have a more serious injury in addition to your dental injury. Again, call 911 or go to your nearest emergency room. Don’t panic. 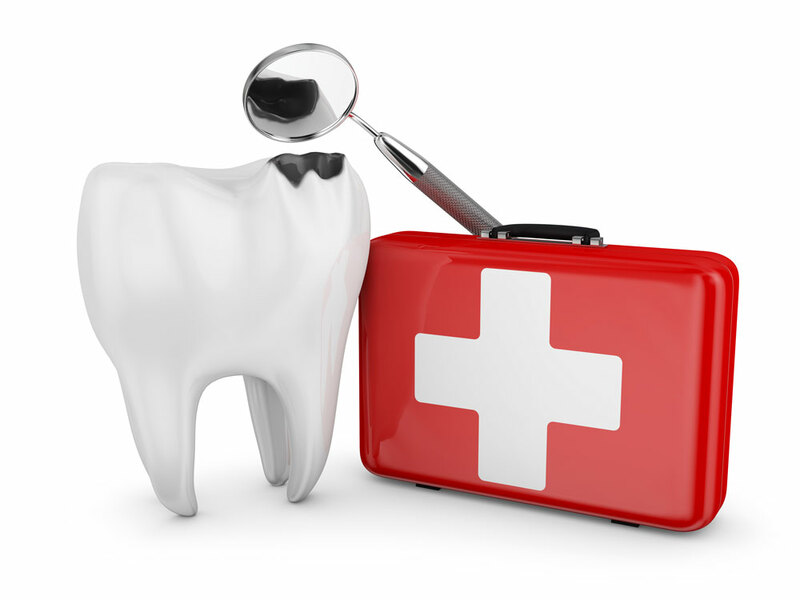 Quick thinking and staying calm are the best way to handle common dental emergencies. This includes taking logical first-aid measures, such as application of cold compresses to reduce swelling (see below for some examples). On the other hand, any injury can be potentially serious and should not be ignored, so please call us for guidance. 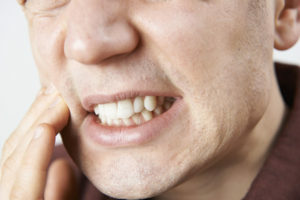 Ignoring a dental problem increases the risk of permanent damage as well as the need for more extensive and expensive treatment in the future. If the tooth is knocked out, try to place the tooth back in its socket while calling to see your dentist. If you cannot locate the tooth back in its socket, hold the dislocated tooth by the crown (the top of the tooth) – not the root. Next, place it in a container of warm milk, saline or the victim’s own saliva and keep it in the solution until you arrive at the emergency room or dentist’s office. Do not wash the tooth. For a fractured tooth, it is best to rinse with warm water and again, apply a cold pack or compress. Ibuprofen may be used to help keep down swelling. If your child’s primary tooth has been loosened by injury or by an emerging permanent tooth, try getting the child to gently bite down on a piece of caramel or an apple; in some cases, the tooth will easily separate from the gum. If you are an existing patient, call our office during office hours as soon as possible after any injury, even if you do go to the emergency room.